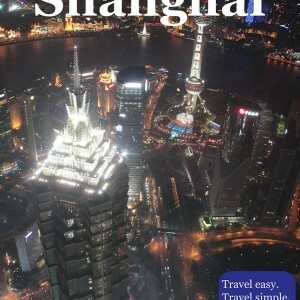 Shanghai is generally a safe place, and as a tourist, you will probably not experience any problems while visiting it. Generally, it does not mean that you should not care about the general precautions, such as being careful with your money and other valuable things. At certain places, especially crowded ones, you should be aware of the pickpockets. Traffic should also be paid attention to, especially when crossing the street, since some drivers tend to be reckless. Beware of scammers around the People’s Square, Nanjing Road, and the Bund. Young girls or boys may try to take you to the “Traditional tea ceremony” or “Art Gallery”, but avoid them. They usually approach people like they want to take a photo or to have a chat, but this always ends with very expensive “cultural” experience! A lot of people have been ripped off, so do not let your guard down! Visitors of Shanghai should not have major health concerns. The biggest problem is the air pollution and those with respiratory problems may experience certain difficulties. Also, note that tap water is not for drinking, but only bottled. However, you may use it for showering and brushing teeth. Shanghai is a big city and there are a lot of hospitals and clinics. Their quality is quite diverse, there are bad and very basic in which they treat locals, but also some good in which mainly foreigners and wealthy locals are treated. Health care in Shanghai is better than in most other cities in China, but worse in comparison to western cities or Hong Kong’s health care systems. In the hospitals that treat local people it is very difficult to find someone who speaks English, while the situation is different in those in which foreigners are treated, although the level of English of doctors and staff is often not high. Having said that, if you go to the hospital, it is recommended to bring someone who speaks good English and Chinese, but if you go to a hospital for foreigners it is not necessary. In general, it is better to keep it to the private and international hospitals. The service in these hospitals is high, as well as the prices. Therefore, it is better to have travel insurance with you, and it is important to know that most hospitals requires payment in advance. Pharmacies (药店; yàodiàn) are all over the city, and drug supply is not a problem. ATMs (取款 机; qǔkuǎn jī) can be found anywhere around the city and they mostly accept credit cards from any place abroad. However, you should stick to the ATMs of the reputable banks (银行; yínháng) such as the ICBC (Industrial and Commercial Bank of China), Bank of China, Bank of America, Citibank, or Standard Chartered. Credit cards are accepted in most hotels, restaurants, supermarkets and shopping malls, but it is definitely good to have some cash for just in case, because the cards can not be used everywhere. Visa, Master Card, American Express, and Diners credit cards (信用卡; xìn yòng kǎ) are widely accepted. Money can be exchanged in banks, exchange offices (外汇 兑换 处; wàihuì duìhuàn chǔ), post offices, as well as in some hotels and restaurants. Most of the hotels, restaurants and cafes have free wireless connection. The quality of the internet connection in Shanghai is generally very good. Internet cafes (网吧; wǎngbā) can be found in touristic areas, but you may have to provide your passport. The price of the internet service in internet cafes generally range from CNY4 to CNY5 per hour, depending on the quality of computer equipment and internet speed. Access to some web sites, including most of the western social media is restricted by China government.